1. A lot of recent authors have drawn inspirations through television documentaries and shows to form the foundation of their novel. 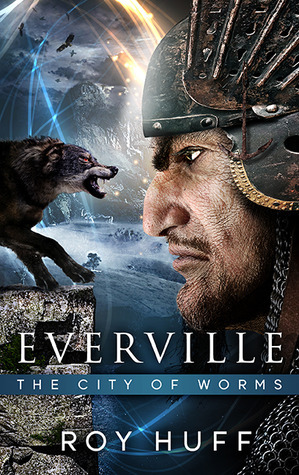 How did you come up with Everville’s? It started as a paper for a creative writing class for a college paper, and it grew from that. 2. Browsing through your website, I noticed you hold five degrees! How much of your educational background influenced the way you write, and the things you write about in Everville? It has significantly influenced how I write. I have written hundreds of technical papers included several large 50+ papers and theses. This has helped me write a lot when I need to write a lot without too much difficulty. 3. What made you decide to become a writer instead of pursuing a career in the four separate fields you hold degrees in? I write in my spare time, I work full time as well. 4. 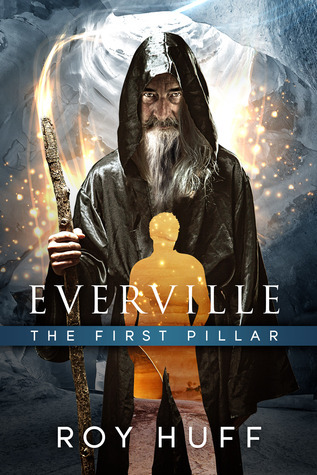 Everville is a self-published novel. With all the stigma surrounding self-published books, what made you decide to take this path? Going the traditional route was preventing me from writing the book due to the fact that it was a daunting task to look for lit agents and publishers. I wanted to write my book and take it from there. 5. How would you convince someone that a self-published novel is not synonymous with bad quality? I would point them to the numerous best sellers that started out as self published. 6. Owen Sage, the male protagonist in Everville, is a college freshman. Why did you decide to write a Young Adult novel? I personally like young adult and scifi fantasy, so I write what I like. 7. Your book covers are beautiful! Did you design them yourself? 8. Tell us five unknown facts about yourself. I’m not sure what is unknown about me, but I grew up very poor. I hope someday to climb Mount Everest. I hope to visit outer space. I want to participate in life extension projects such as the Alcor Life Extension Foundation. Finally, hope to someday see time travel or travel through alternate dimensions realized. 9. What can your readers look forward to from you after Everville? Have you started penning a different series? Will you continue writing science-fiction and fantasy or move to a different genre? I have started a time travel series, but I will wait until I finish the third book in the Everville series before I finish the first book in the time travel series. I will write both scifi and fantasy primarily, though, I am open to other genres. Thank you so much for taking the time to answer these questions Roy!